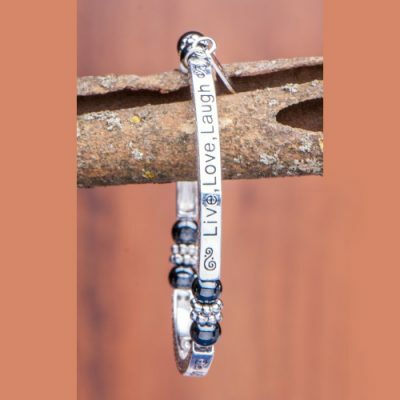 Affirmation bracelet to remember certain positive thoughts. During her journey through Europe 2016, Omnec met many old and new friends. 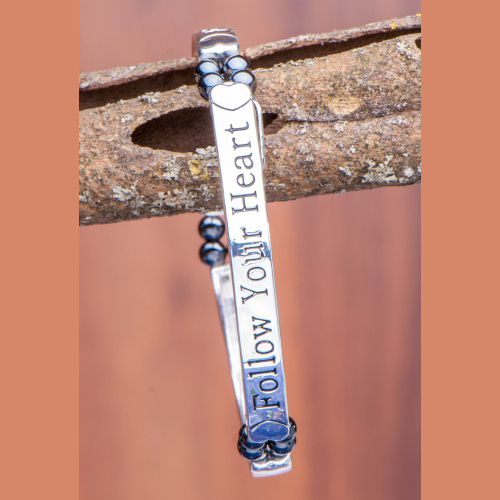 It is one of Omnec’s biggest joys to make gifts, and so she decided in 2016 to generously give away these four affirmation bracelets. 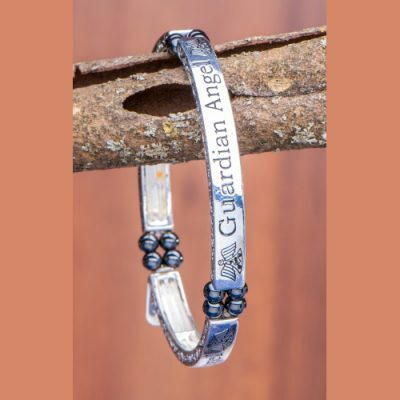 All closer friends and helpers received either “Live, Love, Laugh”, “Follow your heart”, “Miracles” or “Guardian Angel” from Omnec. Zinc alloy, ø 60 mm, width 4 mm. 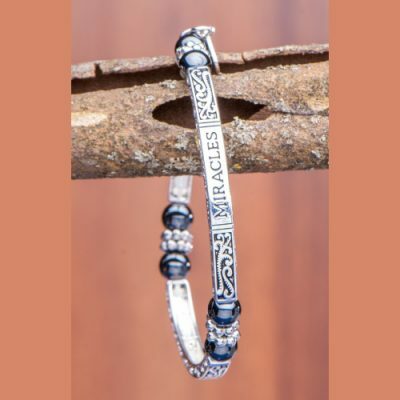 Bracelet with elastic band in the inside, so that the bracelet fits almost any wrist. 800 gauss per spherule.